Full length step down seventies graphic ! 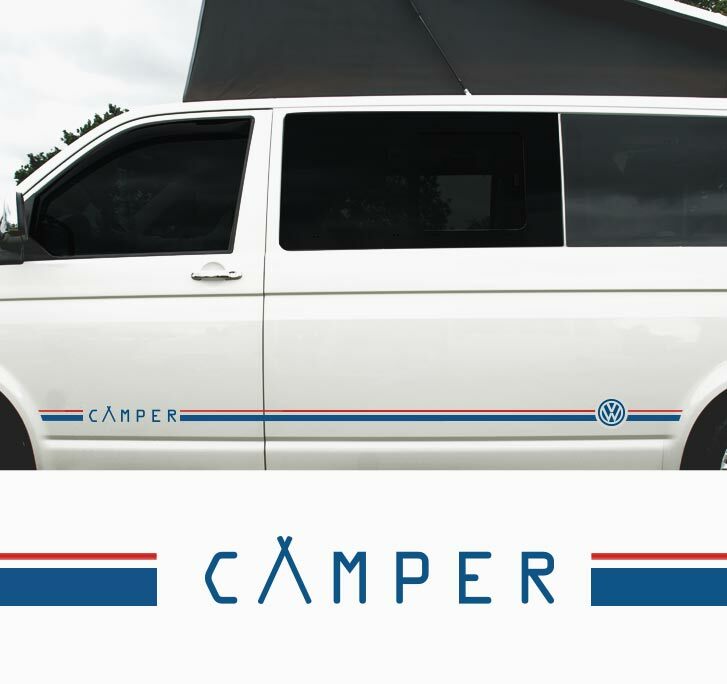 - T4, T5, T6 Side Stripe Decal for Volkswagen and other Campers. 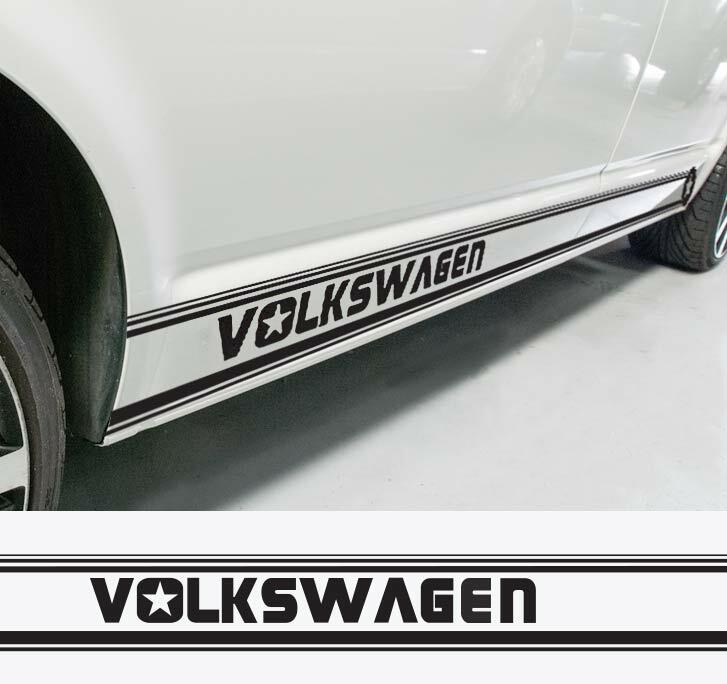 A lovely full length 2 colour or single colour handcrafted decal! 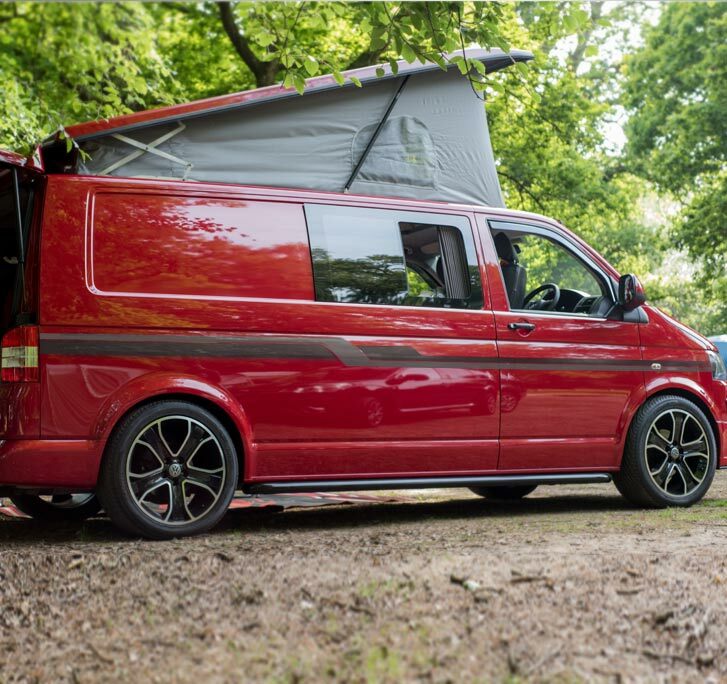 For T6, T5 and T4 Transporters. Can be set to length for other campers. Please contact us with custom dimensions. Please select Main (dark grey – as shown ) and detail (light grey – as shown) colours below. Select “single colour” on detail colour if you want the whole decal in one colour. 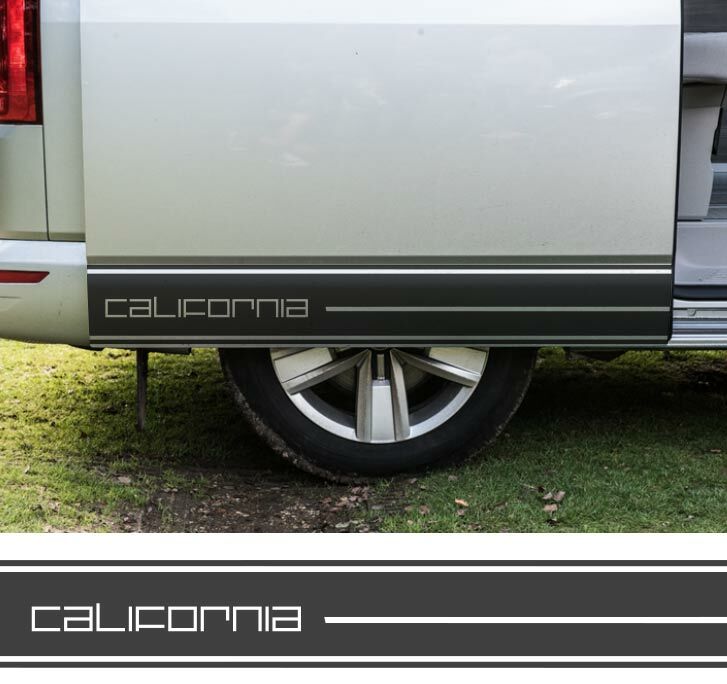 Beautiful handmade decal T6 / T5 / T4 / SWB / LWB. Available as a 2 colour or single colour decal – please select “none” for detail colour if you requite the decal as a single colour. 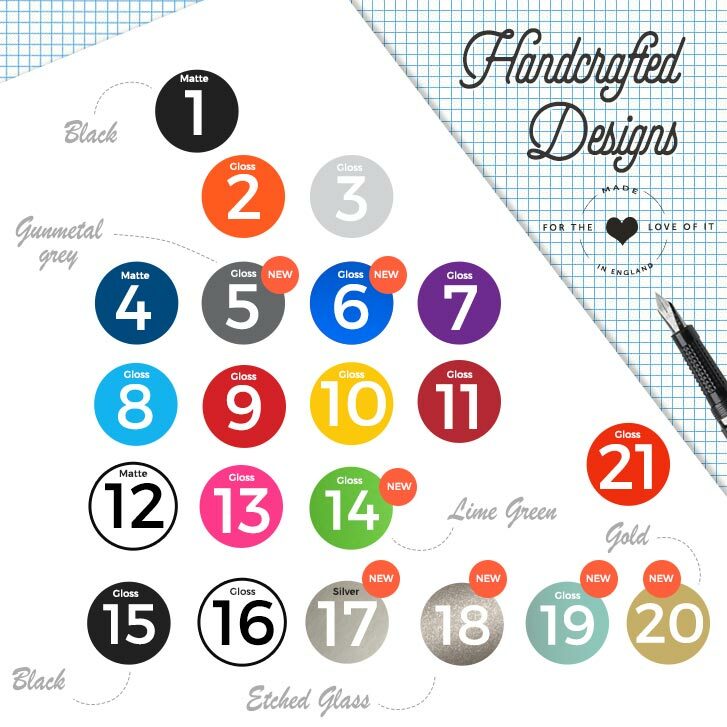 2 Colour is more expensive because we hand cut and hand combine the 2 separate pigment vinyl colours. 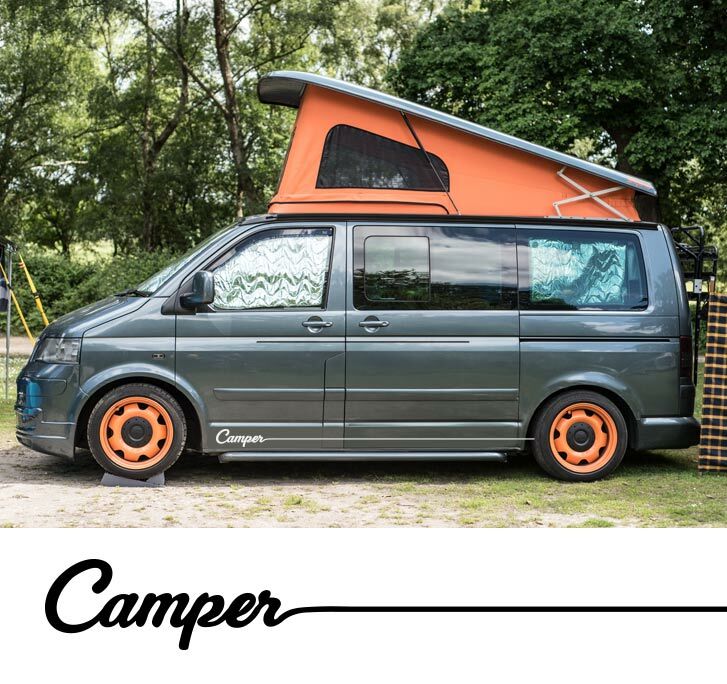 Design can also be customised in length to suit other campers – please contact us to tell us the length required – we can quote accordingly. Available in 21 + colours. Please select Main (thick line) and detail (thinner line) colours below on the drop down menu. Thanks so much again. We’ve put the stickers on today and they look amazing ! We love them ! Just wanted to say.. “Really pleased with the decals. Very prompt service from you with an excellent quality product. The van looks excellent. 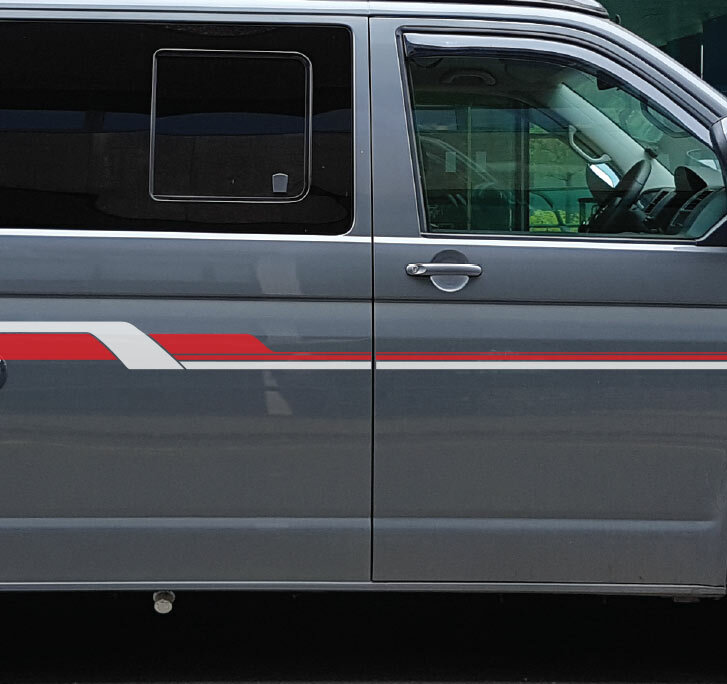 Gunmetal and grey decals on Reflex Silver T5. Bold yet not brash. Perfect! Decals received and applied. Looks totally awesome. Thanks for the additional vinyl, it brings it all together nicely. Just wanted to say, I was able to get the decals onto my T6 Cal today – they look awesome – such a professional look and certainly exceeded my hopes. Will send a photo when I find a nice setting. Thanks agian guys!